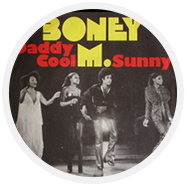 Solar and light song "Sunny" is widely known to the Russian public in the performance of the legendary disco Quartet Boney M. However, the creation of the hit does not belong to them – they just did their cover version originally a soul-jazz compositions. And the author of the immortal hit is one of the most brilliant and innovative musicians of the 20th century - Bobby Hebb. Bobby Cheb very easily might never go down in history. A black boy born in 1938 in a poor large family with seven children and blind parents-the musicians obviously had all the chances to remain unnoticed by the world. However, the talent of the musician and songwriter manifested in him in his early childhood gave him the opportunity to become a Creator of many hits, among which the most popular was and still is the song "Sunny". unfortunately, the background of the song is that is both sadness and admiration for the fortitude of its author. Because in order to write beautiful lines, full of optimism and faith in a better, Bobby Hebbian had to endure in 1963, just two things. First, 22 Nov kill the President, Kennedy. Not had time to recover from the national tragedy, the singer faced already with a much more personal and deep grief – the death of a beloved brother, Harold. And it was Harold in his nine years as a tap dancer and performed in clubs, takes on the performances of a three-year old brother who just learned to play the spoons. And since that time in the district learn of the brothers Duo where one plays and sings, and the second is dancing. Struck by fallen on him grief, Bobby Hebb not an end in itself and does not go into a depression, and already on November 24 writes the lines in the song, designed to remind everyone that the sun rays are able to penetrate any clouds. Perhaps Bobby Hebbian in that difficult time, a reminder the sun is needed more than others. the Birth of the hit "Sunny"
However, the generated in the impulse of spiritual inspiration, the song "Sunny" became known to the public not immediately. For almost two years, the future of the global smash hit has lain in the Desk of the producer who Bobby Hebb took it along with another seventeen creations. And in 1965, "Sunny" was first performed on stage, but somehow, in Japan, it was performed by local jazz singer Mico. And maybe the Japanese would be the only one who knew words would be "Sunny" if in 1966 Bobby Hebb finally managed to release our own compilation. Collecting for the music album material, he was only at the last moment decided to include "Sunny". But heard a song the editors of the company "Philips" immediately recognized the hit and released on a separate single. Flair did not disappoint them – after a few months of "Sunny" firmly and permanently took second place in the list of most beloved national hits. Since then, various artists and groups happy to have been doing their cover version of this hit. In the lists of those who performed "Sunny", includes such singers and musicians as Frank Sinatra, Ella Fitzgerald, cher, Feliciano, and many others. But through the "iron curtain" to the Russian listener sun song was carried by Boney M., which created it a worldwide popularity. By the way, in Japan, "Sunny" also has become very loved by the public. the Song "Sunny" is present in the repertoire of cover band Orange VINIL and you can easily enjoy its performance on your holiday.